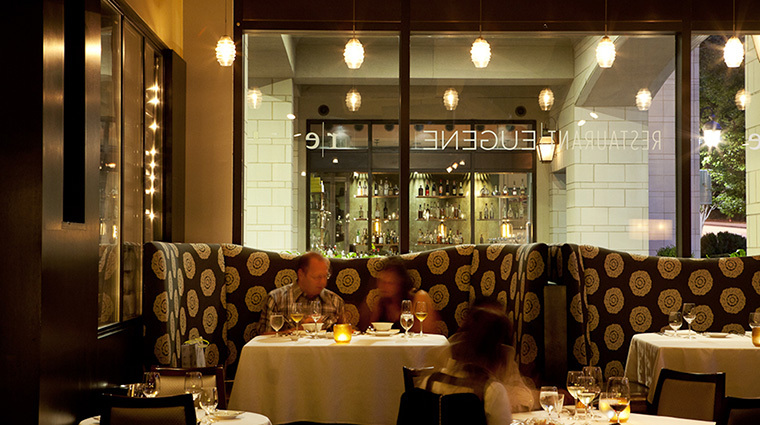 While the menu at Atlanta’s Restaurant Eugene offers undeniably fine cuisine, the restaurant has the uncanny ability to make you feel immediately comfortable as soon as you walk in the door. The sleek and minimalist design features a simple color scheme of grays, while floor-to-ceiling drapes add a touch of drama to the space. Music from jazz greats softly plays in the background providing a smooth soundtrack for ponying up to the small bar for a pre-dinner cocktail. The relatively modest (but very classy) atmosphere serves a purpose — it allows the food and wine to take center stage. James Beard Award winning chef and owner Linton Hopkins (he also owns Holeman & Finch Public House, H&F Bottle Shop and H&F Bread Co.) creates Restaurant Eugene’s nightly menus based on what’s fresh from the area farmers with whom he’s formed relationships, giving a sense of community and local flavor to each bite. 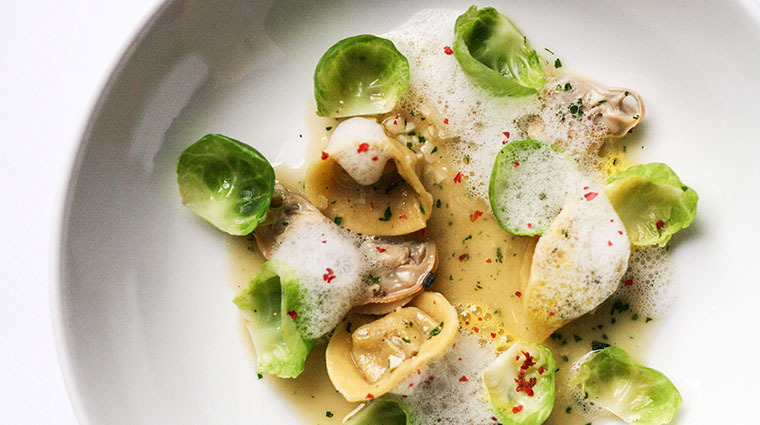 • There’s a very good chance you won’t experience a repeat dish at Restaurant Eugene, and that’s certainly by design. 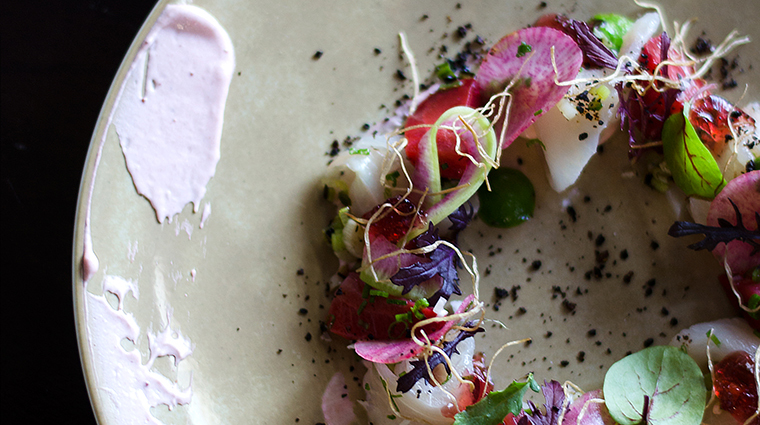 Every evening, James Beard Award winning chef Linton Hopkins creates completely new tasting and a la carte menus, so choose with wild abandon — it’ll probably be a while before you eat the same dishes again. 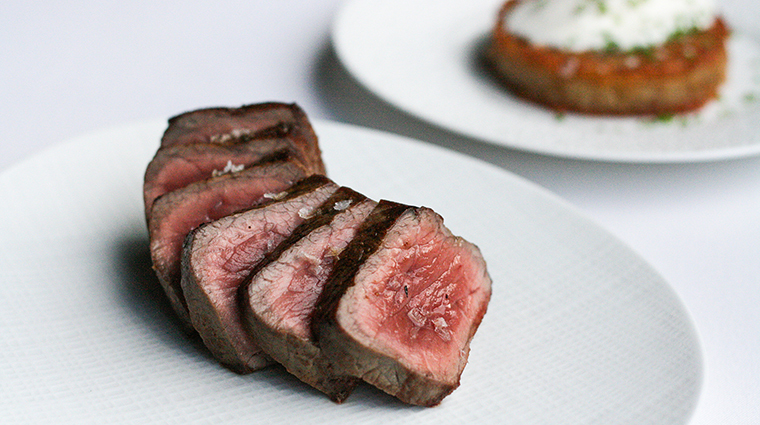 • The food, atmosphere and staff all exude fine dining, but that doesn’t mean there’s any air of elitism here. It’s a little subtle, but the restaurant makes you feel very comfortable and at home. 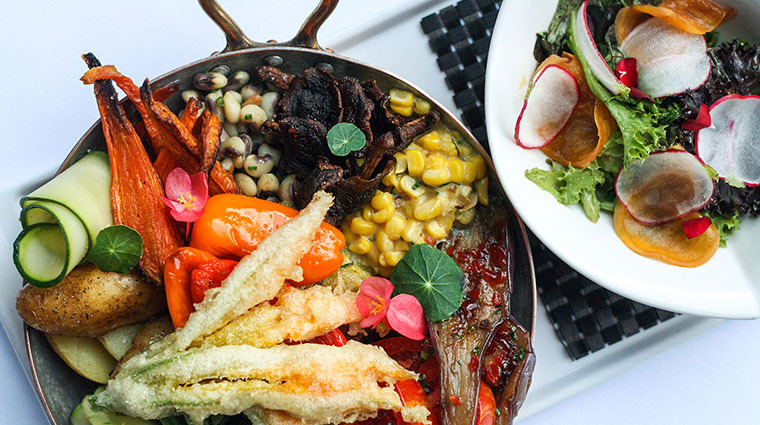 • Restaurant Eugene has built relationships with various farms and farmers in the Atlanta area such as Bobby Britt, Crystal Organics, Dillwood Farms and many more, which results in cuisine with a personal touch. 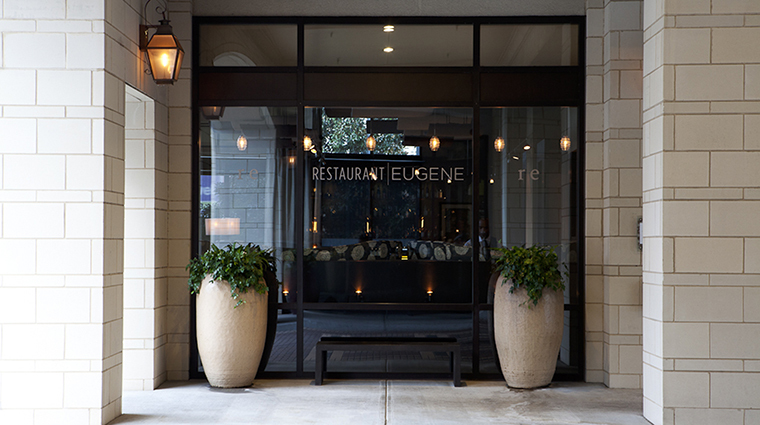 • The impeccable service at Restaurant Eugene starts as soon as you walk in the door. Every member of the staff at this Atlanta eatery is knowledgeable‚ eager to help and‚ equally as important‚ willing to give you space and time while you’re still enjoying your meal. • Don’t forget to ask for wine-pairing suggestions from co-owner and sommelier Gina Hopkins from the restaurant’s extensive wine list, which specializes in small boutique wineries. • Restaurant Eugene only serves dinner Wednesday through Saturday from 5:30 until 10 p.m. and on Sunday from 5:30 to 9 p.m. Be sure to call ahead if you plan to dine on a holiday; the eatery has special hours to accommodate the high volumes during these popular times. • To make a reservation at this Four-Star Atlanta restaurant, you can either call directly at 404-355-0321 or book a spot at OpenTable.com. • You’ll find this fine-dining establishment at 2277 Peachtree Road, just south of Atlanta’s high-end Buckhead neighborhood. • Dine on dishes such as asparagus with veal sweetbreads, mustard and leeks; or English pea puree with dressed blue crab, sunchoke pickle and ham. • Red snapper tartare with buttermilk crisp shallots; guinea hen with spoonbread puree, root vegetables and foie gras; and black grouper with shrimp-shiitake fondue, leek and fava salad are just some of the dishes available on any given evening, so you’re bound to lock on to a menu item that’ll immediately make your mouth water. • Pastry chef Aaron Russell’s range of dishes swings from fresh and seasonal options such as preserved lemon custard with carrot meringue to rich and decadent desserts like triple chocolate caramel with vanilla froth, chocolate cake and cocoa ribs. • Just off the main dining room‚ the restaurant’s bar is nestled in a corner of the space, and while it’s not overwhelming large (there are a half dozen stools or so lined up at a simple bar)‚ it’s a comfortable spot to sip on a glass of wine or a cocktail of choice before your dinner. • Looking to try something new? The staff here is very knowledgeable and more than happy to assist you in choosing the right bourbon or glass of cabernet. • The bar also features unique items such as house-made pickled onions‚ fresh tonic water and small snacks (think caramel popcorn with bacon, breadsticks with pimento cheese and more) to ward off any hunger pangs until you’re ready to dine.